So, here’s something a little different for Hand Tool Thursday. These names (and, in one case, a logo) all appeared on fine nineteenth century measuring devices in my permanent collection. 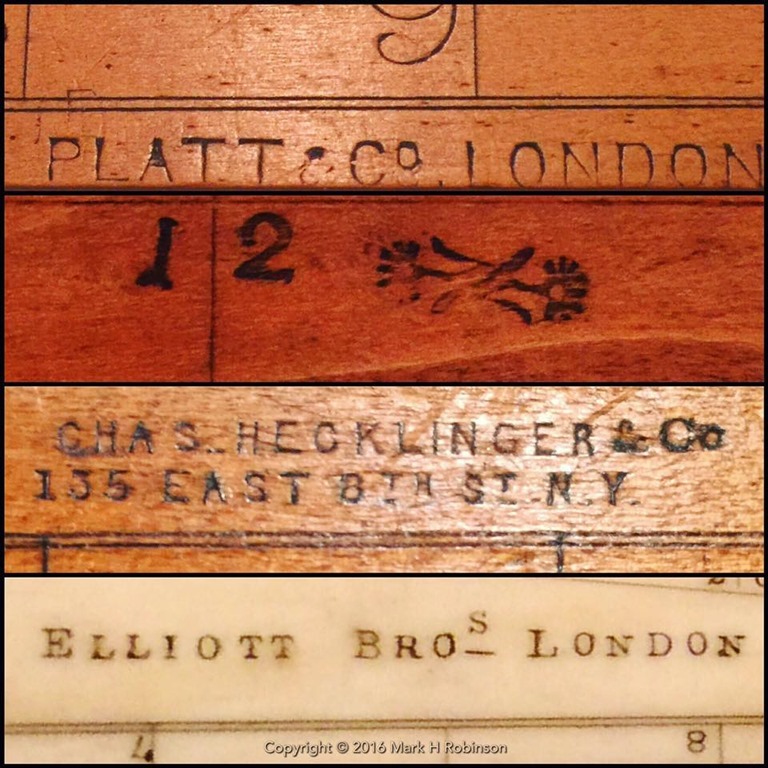 The Platt & Co, London maker’s mark is on a very fine 18″ folding boxwood square, which I once thought to be a tailor’s square but having now examined many squares that I know for sure were for tailor’s, it is actually too heavy for that use – so now I’m thinking it was likely for drafting. I have nothing on Platt’s history – it’s a future research project. The unknown logo appears on a finely constructed device for measuring foot or shoe size, with bone or ivory fold up stop and slider, almost certainly Continental European from the design and sizing – another future research project. 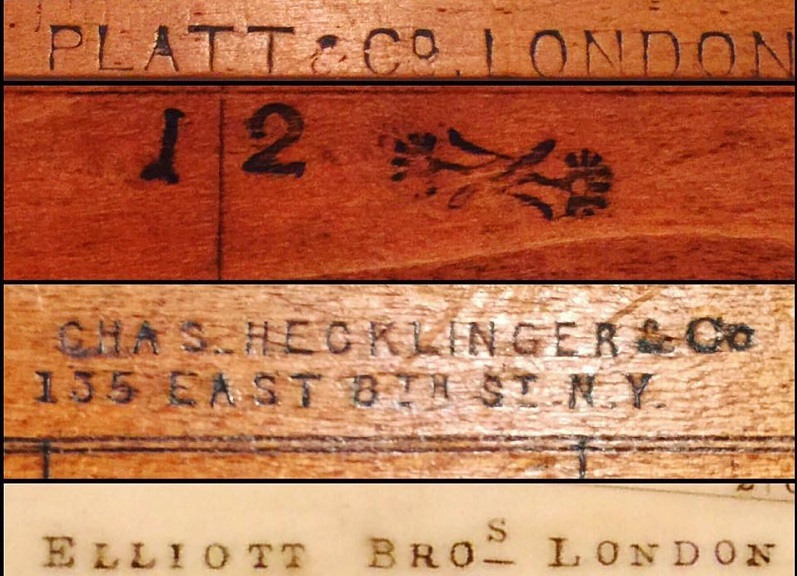 Charles Hecklinger’s name appears on a tailor’s yard stick – he was a famous New York master tailor and dressmaker who authored textbooks and published patterns. It seems likely that the rule was made for him, not by him, and it has some similarities to S T Taylor’s work. Another future research project. 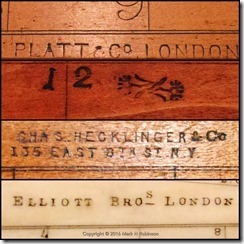 Elliott Bros. was one of the world’s leading scientific and laboratory instrument makers throughout the 19th and 20th centuries – their name appears here on a bone or ivory ‘sector’ that was probably originally found in a dragging set comprising several other such instruments, as well as a wide variety of pens, dividers, compasses and other paraphernalia of the trade.